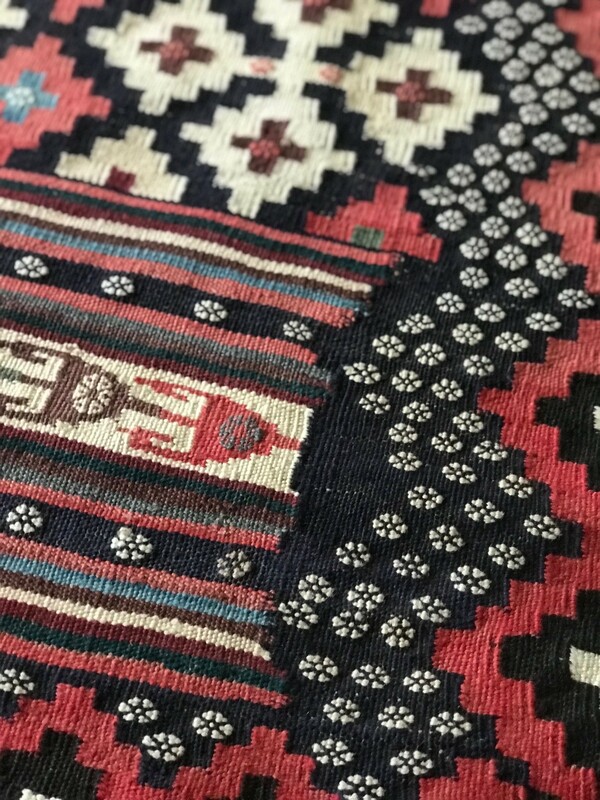 Border Detail photo Handmade Vintage Turkish Kilim Very Fine New Old Stock 4'-1" x 6'-9" Call for pricing and additional photos. 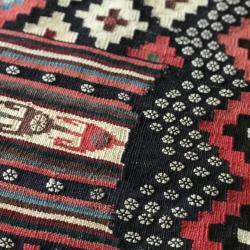 Detail photo Handmade Vintage Turkish Kilim Very Fine New Old Stock 4'-1" x 6'-9" Call for pricing and additional photos. 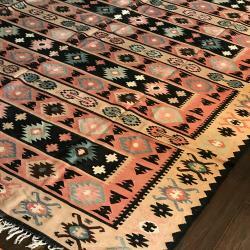 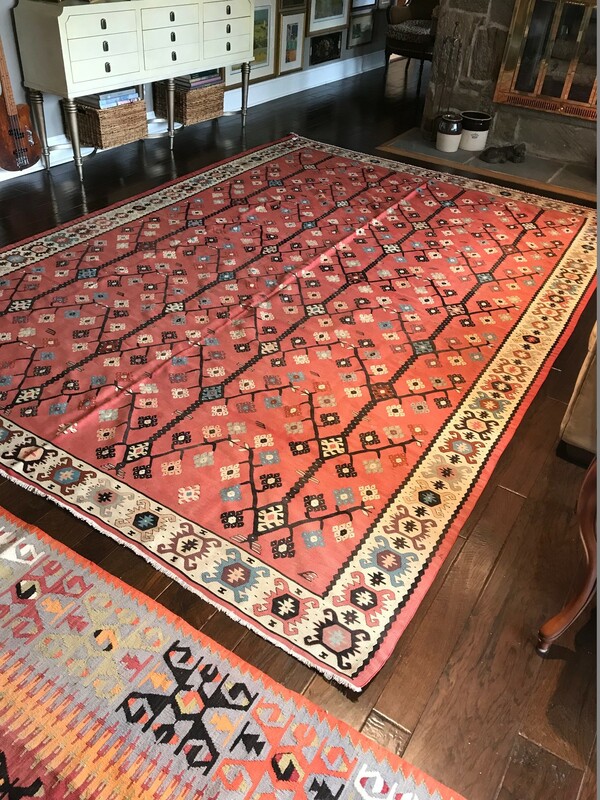 Large Handmade Vintage Turkish Wool "Bassarabian Kilim Excellent condition New Old Stock 8'-5" x 13'-2" Call for pricing and additional photos. 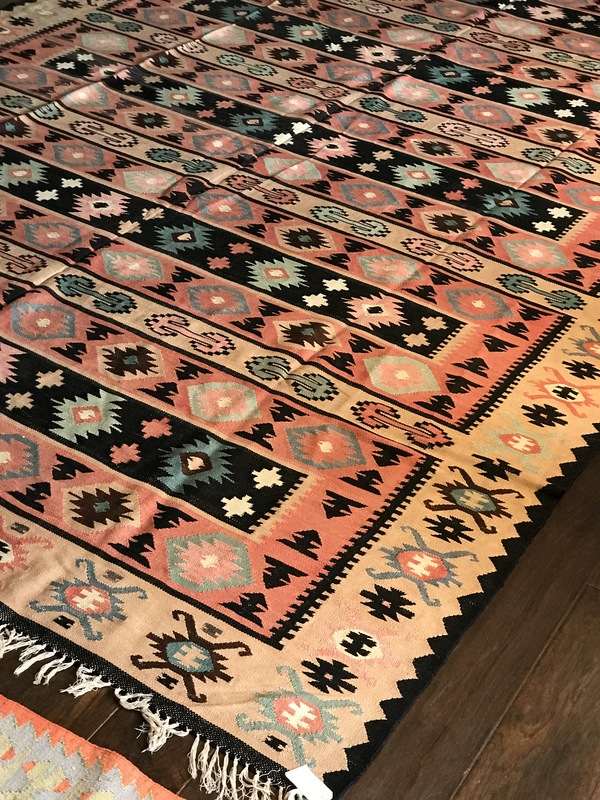 Vintage Turkish Wool "Van Kilim" Runner Excellent condition 8'-10 x 3'-8" Please call for pricing or additional photos. 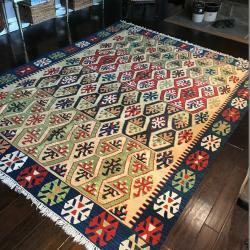 Large Vintage Turkish Wool Kilim "NZ Veg Dye" Very Fine in Vibrant colors Excellent condition New Old Stock 7'-8" x 10'-1" Call for pricing and additional photos. 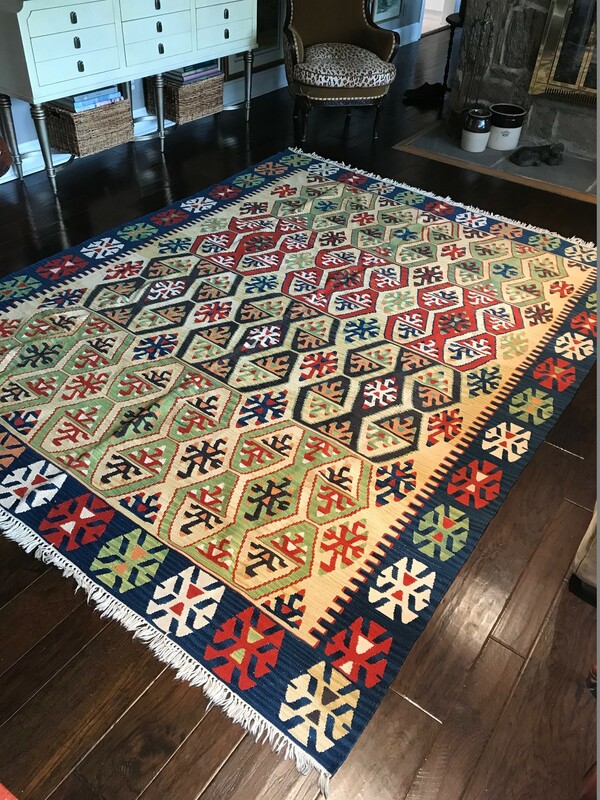 Vintage Turkish Wool Kilim Excellent condition New Old Stock 4'-10" x 7'-11" Call for pricing and additional photos. 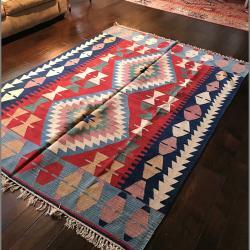 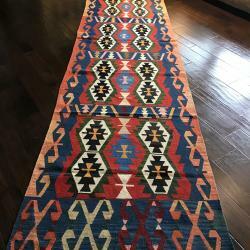 Vintage Turkish Wool Kilim Heavyweight very durable in Vibrant colors Excellent condition New Old Stock 6'-1" x 8'-10' Call for pricing and additional photos. 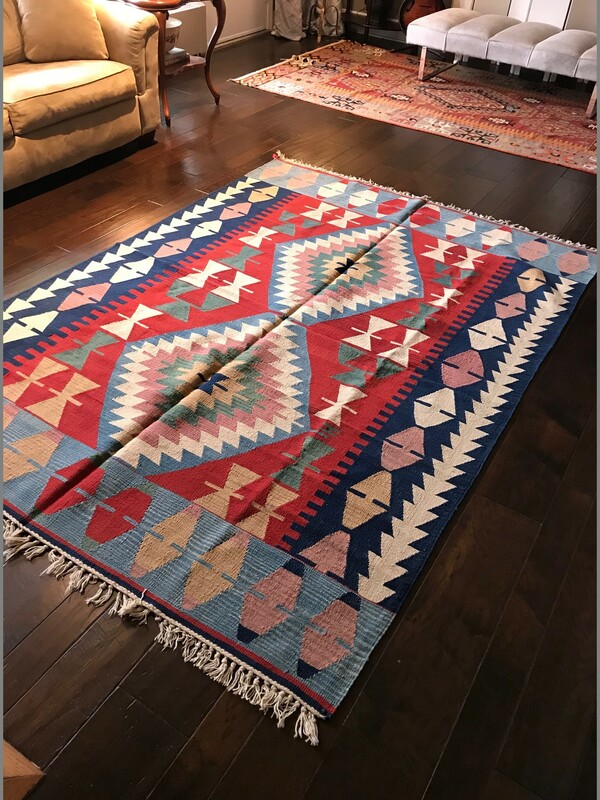 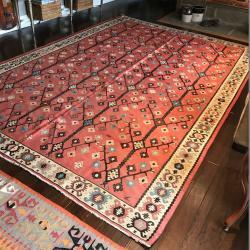 Large Vintage Turkish "Bassarabian" Kilim Very Fine/Lightweight Excellent condition New Old Stock 7'-9" x 12'-2"' Call for pricing and additional photos. 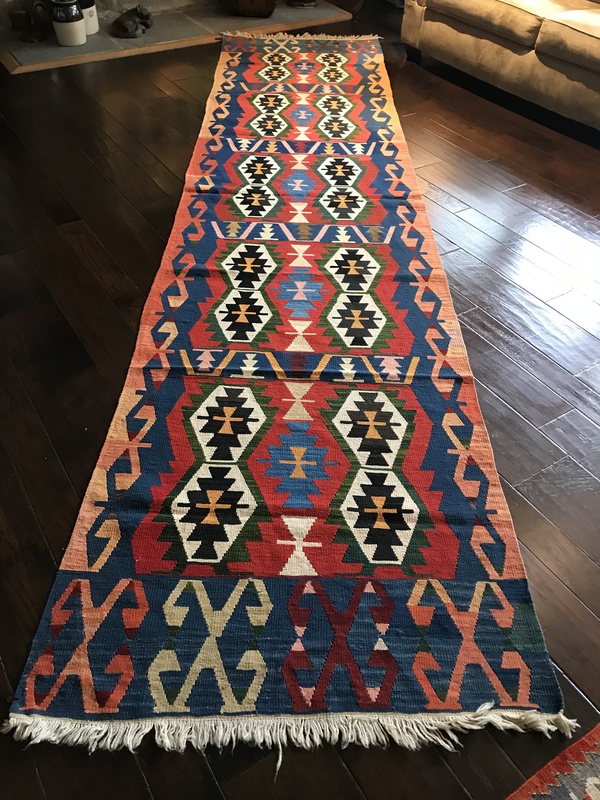 Vintage Turkish Wool Kilim Runner Very Fine in Vibrant colors Excellent condition New Old Stock 3'-2" x 14' Call for pricing and additional photos.